This is a great little video from RT America, where their Editor-in-Chief, Margarita Simonyan, responds to the political and corporate witch-hunt against RT by pretending to show how the Russian-owned broadcaster really operates. It shows her counting out her ill-gotten gains in the company of a bear, natch – this is a Russian company. She moves around dressed in the characteristic Russian fur hat, as do many of her workers, who are shown as the bullied drones of Russian industry. And even the cleaning ladies take their orders directly from Moscow. The expats are kept shackled in the basement as evil defectors, and in the studio for foreign news all the supposed ‘live’ footage from places like Syria are in fact fakes, generated through computer graphics and the green screen. Further consultation with her senior staff takes place in a darkened room where everyone is wearing Red Army uniforms. And the news readers themselves are kept chained to their desks. The clip concludes with a selection of various quotes on the screen by alarmed political figures and former journalists with the network, all going on about how it’s a terrible threat to American freedom and democracy. You won’t be surprised to see that amongst the Republicans there are various figures from Hillary’s branch of the Democrat Party. This puts the lie to the stereotype that the Russians are naturally dour with no sense of humour. Yes, they have a word for ‘funny’ – it’s ‘smeeshno’, and this is very smeeshno indeed. And much of that humour was expressed in political satire. 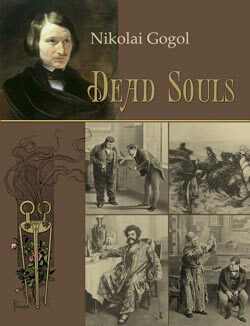 Try Gogol’s The Government Inspector. Written in the 19th century by the great Ukrainian writer, this is about a corrupt post office manager, who opens the letters coming through his office and reads them. -videos of the British Whitehall sitcom, Yes, Minister. This was during Perestroika, and the Russians liked it, because it satirised state bureaucracy, just like so much of their great literature. There are issues of bias, of course. The presenter of The Empire Files, Abi Martin, left RT, or was sacked, because she criticised a Russian military action on air. But that should not put people off watching RT, any more than watching the Beeb uncritically support the current regime of gangsters and Nazis in the Ukraine. I watch and reblog videos from RT on this site, because they cover issues from a left-wing perspective that you don’t see in the mainstream media. And if RT is growing, it isn’t because they are engaged in a fiendish plot to bring down our governments. It’s because they’re actually doing their job as journalists, and holding government and corporations to account, which the Western media has given up doing since they were taken over by big corporate conglomerates in the 1980s.